TROY – Higgins and Madewell will bring their version of “hippie country that rocks” to Prouty Plaza on July 20 at 7:30 p.m. Both Erin Higgins and Jeff Madewell have had a broad musical background and their selections can range from Johnny Cash to Janis Joplin. 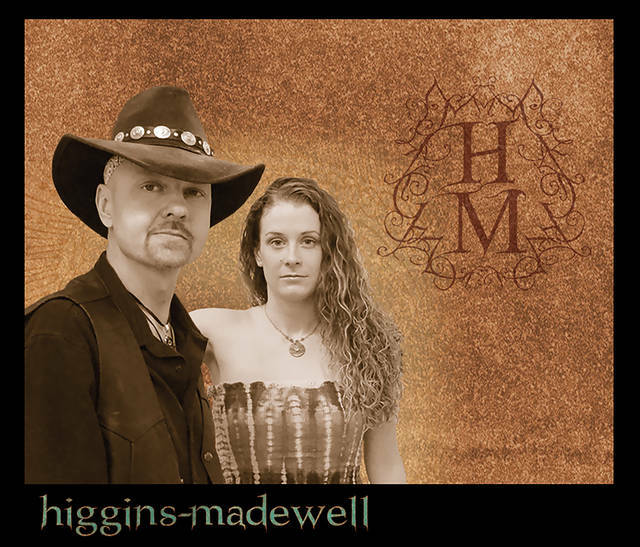 Higgins’ incredible vocal range and deep relationship to the lyrics carries out the story of their music as Madewell’s masterful acoustic guitar completes the interpretation. Fridays on Prouty is a free concert series and is a collaboration of the Troy-Hayner Cultural Center and Troy Main Street. This series is made possible by support of the citizens of Troy, the City of Troy, The Troy Foundation, Dayton City Paper, Kettering Health Network, Premier Health/UVMC, Alvetro Orthodontics and CoriGraphics. Higgins and Madewell will begin at 7:30 p.m. on July 20 on Prouty Plaza in downtown Troy.